HUD is the nation’s primary enforcer of the Fair Housing Act. This is one obligation Ben Carson will assume if he is confirmed as HUD secretary. But in his defense of Carson, Wall Street Journal columnist James L. Riley points to long disproven tropes about the causes of the financial crisis and longstanding patterns of racial segregation often trotted out by industry apologists. Once again, we see HUD’s legal obligation to enforce the Fair Housing Act misrepresented as the cause of the recent financial crisis with the words “social engineering” turned on their heads as Riley misreads the nation’s metropolitan map. But as researchers with the Federal Reserve have reported, fair lending enforcement efforts did not cause the crisis. The real social engineering that is occurring—and has long taken place—as documented by the Urban Institute and other scholarly researchers, is ongoing racial steering by real estate agents, redlining by financial institutions, and old-fashioned discrimination by real estate and rental companies. 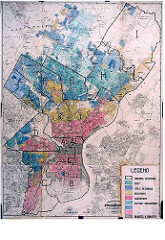 These practices reinforce the racial segregation caused by the concentration of public housing in inner city neighborhoods, construction of a highway system that facilitated white flight to the suburbs, enforcement of racially restrictive covenants and other policies that created the residential patterns many view today as “natural” or simply the reflection of free choice by homebuyers and renters. If Carson can learn these lessons, HUD may have an opportunity to undo some of the damage that indeed has been inflicted on all too many inner cities and the people who reside in them.